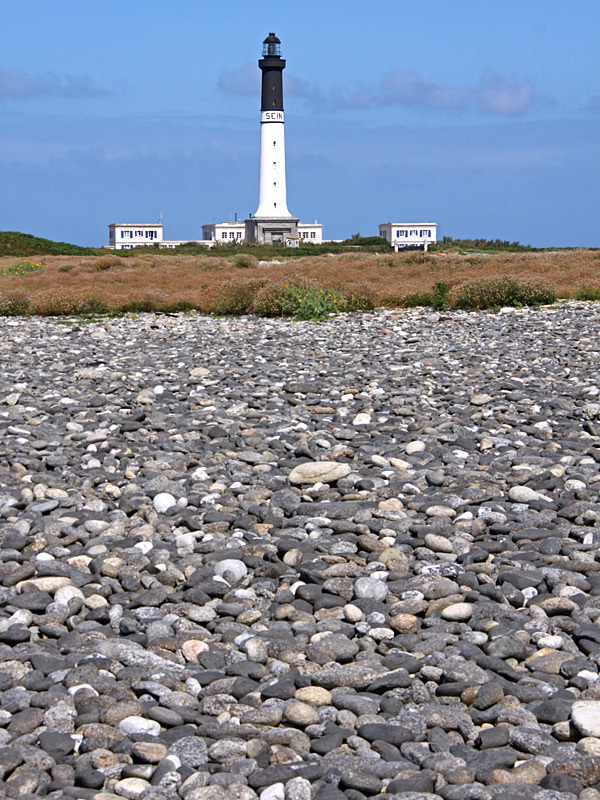 Phare de l'île de Sein also named Phare de Goulenez. It was constructed in 1950-1951 on the location of the old island lighthouse that was destroyed in 1944 during World War II. The lighthouse stands 53 meters above sea level. It's position is: 48°2’39’’N and 04°52’4’’W .